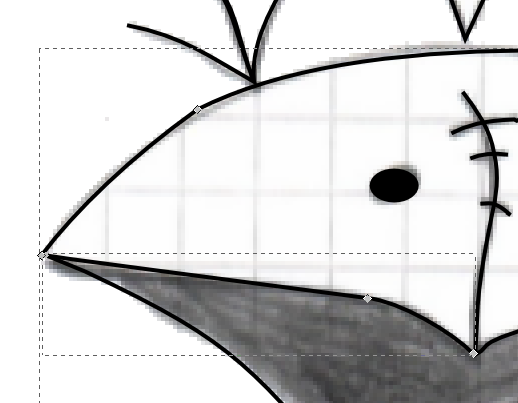 You can see there two bezier curves that I want to connect together. How can I do that? My current area with the peak consists of many small bezier curves which is totally intolerable because it makes the processing of the picture much harder later. 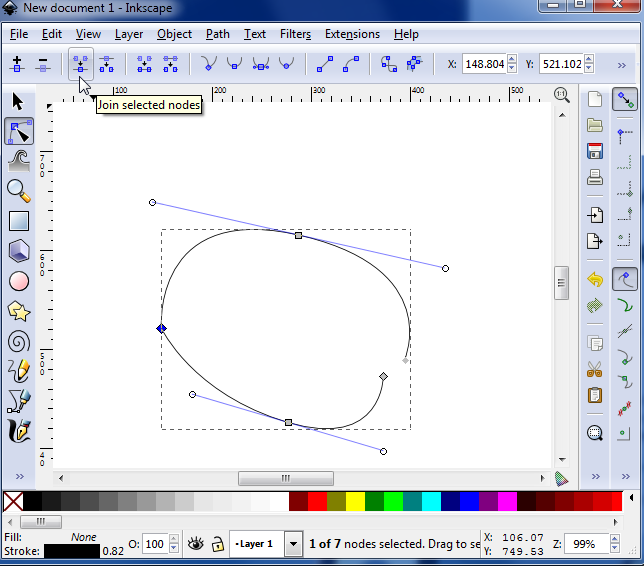 select both paths with "edit paths" tool (F2). You can do it by clicking on one of them, and then holding shift and clicking another. select two nodes you want to join by drawing a selection rectangle around them. I wanted to expand on Justinas's answer. 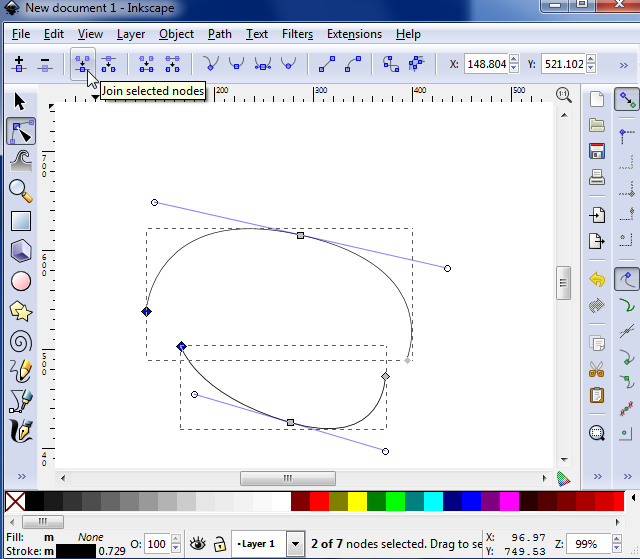 You cannot join non-endnodes in Inkscape due to the SVG spec. 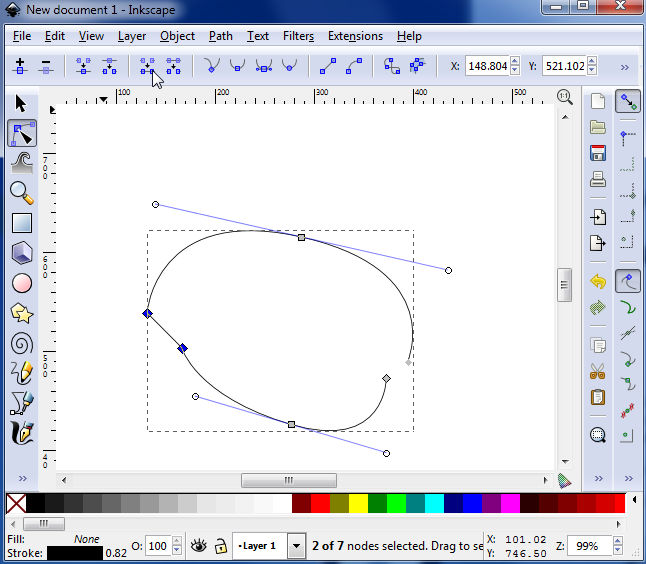 So you cannot create a path that forms a T intersection, although you can simulate it by using Path-Combine or Group.